Wymston Parade Project, FIVE DOCK. 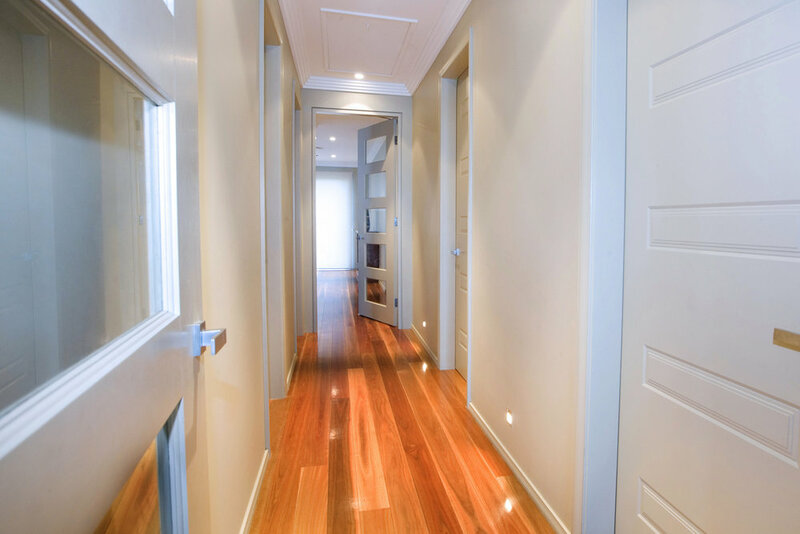 EXTENSIVE ADDITION AND RENOVATIONS TO A FAMILY HOME IN THE INNER WEST. The original home on this block was a bland 1900’s red-brick home that truly under-capitalised the surrounding views and environment. Our clients decided to perform an extensive renovation to the existing home, as well as add a new open-plan living, dining and kitchen area at the front of the home - designed to encapsulate the surroundings. They envisioned the resulting home to appear as if it were new from both the inside and out, and thus, the marrying of the old and new structures would need to be flawless. In order to retain the original set backs and building restrictions, the owners opted to renovate and add to the existing home rather than build new. This brought about an issue of finding a builder capable of not only building the addition, but also one capable of reinforcing the homes original structure, ensuring everything blended together. The clients contracted us after significant investigations and input from our part, to ensure that what was proposed could indeed be executed. We asked for a number of aspects of the engineering to be revised once we had investigated the subfloor, foundations and roof structure. We felt it necessary to rebuild particular walls and footings that had begun to fail to ensure issues would not arise in to the future. Not a lot of the old house remained – The only elements that did remain were the double brick walls, floor and roof structures. We strengthened and reinforced the majority of the floors and roof structure to ensure the old and new structure would seamlessly integrate. The new extension required significant excavation in to the land to provide the necessary space. Double brick and masonry construction was adopted throughout the addition. In particular a relatively large suspended concrete slab was constructed for the floor of the extension that required attention to detail to avoid any resulting bounce. The roof to the extension was particularly challenging. No internal walls were present, meaning specialised steel beams were manufactured to handle the width of the room, and also the pitch of the roof. Also a challenge, were the large openings for the commercial stacking doors at the front of the home leading to the balcony. We were required to ensure the doors would not jamb, whilst supporting the load from the roof above – all within a small height allowance.